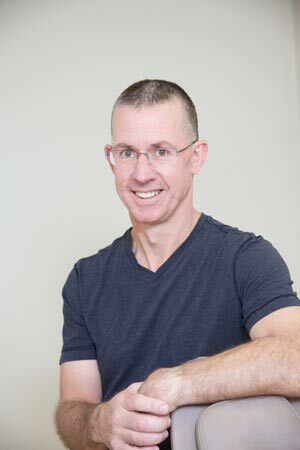 Nigel is a New Zealand trained Oral and Maxillofacial Surgeon. He graduated from the University of Otago with a Dental Degree, a Medical Degree and a Masters in Oral Surgery. He also spent several years extending his training and surgical experience in the UK in surgical training programmes where he obtained two fellowships to the Royal College of Surgeons In Edinburgh and Ireland. This experience has given him the specialized skills to carry out many intricate procedures within the head and neck region, especially in relation to wisdom teeth, dento-alveolar surgery, oral cancer and other oral pathology. 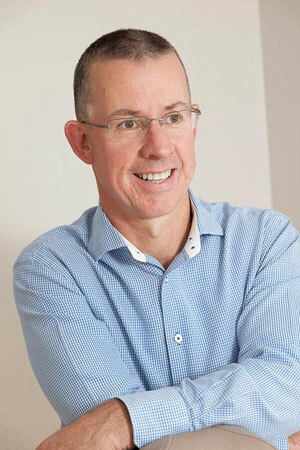 Upon his return to New Zealand in 2000, Nigel worked as a full time consultant at Auckland and Middlemore Hospital. He soon started to develop his private practice and developed a role as a visiting consultant at Whangarei Hospital before establishing in 2008 his own purpose built Day Surgery facility in Green Lane. Nigel continues to work as a part-time consultant at both Auckland and Northland District health Boards. In 2010 Nigel voluntarily undertook to have his practice Accredited to NZ Day-Stay Surgery and Procedure Standards. This was to ensure that the building and installed quality systems relating to patient care are maintained to the highest levels of quality and safety standards. Nigel and his team pride themselves on being able to provide comprehensive treatment to their patients in a relaxed, warm and peaceful atmosphere where patient safety, confidentiality and quality care are paramount. If you want to discuss a procedure you are unsure of click here to contact us. Most patients are referred by their Dentist, GP, or Insurance Company. However you do not need a referral to make a consultation appointment with Dr Parr. Most people have four wisdom teeth - two in the upper jaw and two in the lower jaw. It is not uncommon for these teeth to become impacted. An impacted tooth is one that has not grown through the gum into the mouth or has grown only part way through, and is in an abnormal position. This is an unhealthy situation and the tooth should be removed for a number of reasons. Often young people when growing, do not have enough space for all teeth to erupt into their mouths. If these teeth are essential for ideal bite and function, the surgical exposure of these teeth may be necessary. Severe tooth decay, gum disease, infection or trauma may lead to the necessary removal of a tooth. Your dentist may prefer to refer you to a specialist. If you have private medical insurance, depending on what policy you have, this treatment may be covered if carried out by a registered Oral & Maxillofacial Surgeon. This involves a small dental needle injection in the mouth to numb the tooth or area for surgery. This will remain numb for approximately 2 hours. There is also a longer lasting local anaesthetic that can maintain numbness for up to 6 hours. This is often used for the removal of wisdom teeth. The same as above with the addition of a oral pre-med. Along with the local anaesthetic, you will have a sedative and pain relief administered through a luer (plastic needle) in your arm. This is a fairly pleasant way to have your surgery. You must be medically fit to meet the criteria for IV sedation. This can be carried out at our Green Lane rooms. This is the anaesthetic where you are completely asleep. A general anaesthetic is only administered by an Anaesthetist at a private hospital. Dr Parr will carry out this surgery at either Quay Park Surgical Centre or Brightside Epsom Hospital (for more on these facilities see Links). Click here for the Quay Park Surgical Centre Anaesthesia Assessment form. Historically, it has been difficult to determine which abnormal tissues in the mouth are worthy of concern. The fact is, the average person routinely has conditions existing in their mouths that mimic the appearance of pre-cancerous changes, and very early cancers of the soft tissues. Any sore, discoloration, prominent tissue, irritation, hoarseness, which does not resolve within a two week period on its own, with or without treatment, should be considered suspect and worthy of further examination. The glands are found in and around your mouth and throat. We call the major salivary glands the parotid, submandibular, and sublingual glands. Besides these glands, there are many tiny glands called minor salivary glands located in your lips, inner cheek area (buccal mucosa), and extensively in other linings of your mouth and throat. Salivary glands produce the saliva used to moisten your mouth, initiate digestion, and help protect your teeth from decay. There are oral lesions whose diagnosis can be made relying on data gathered during the history and/or physical examination, but there are others where studies are needed to confirm the presumed clinical diagnosis. Biopsy is a surgical procedure to obtain tissue from a living organism for its microscopical examination, usually to perform a diagnosis. Biopsy is indicated for diagnostic confirmation of suspected malignant lesions, precancerous lesions, and chronic ulcerations of unknown cause. It is also indicated for the histological confirmation of certain systemic disorders, and is recommended for apparently inflammatory lesions that do not improve within two weeks of removal of local irritants. Saliva is one of those things you don’t appreciate until it is gone! Saliva moistens the mouth, and that moisture helps you talk, eat, swallow and digest your food and keep your teeth and gums healthy. When the body fails to produce enough saliva, the condition is called xerostomia or, in layman’s terms, dry mouth. It is a surprisingly common disorder. How does dry mouth develop? It was believed that old age causes a reduction in salivary flow. It is widely acknowledged that the most common causes of gland dysfunction are related to different medications. This explains why dry mouth is a common problem for the elderly – they use proportionally more drugs than other age groups. Lichen planus is a chronic mucocutaneous disease. The mouth is involved in 50% of cases and is often the only affected area. The usual areas affected are the inside of the cheeks and the sides of the tongue, but the gums and lips may also be involved. It is characterized by generally painless, discoloured regions of taste buds or sometimes, even cracks in the tongue (which do not go all the way through and are painless as well). While it is not common for the condition to cause pain, it may cause a burning or stinging sensation, especially after contact with certain foods. Foods that sometimes cause irritation, burning or slight swelling of the tongue include tomato, walnuts, sharp cheeses, spicy foods, sour foods, candy and citrus. Geographic tongue may also cause numbness. Chemicals, such as mouthwashes and teeth whiteners, can also aggravate the condition. The most common taste disorder is phantom taste perception; that is, a lingering, often unpleasant taste even though you have nothing in your mouth. We also can experience a reduced ability to taste sweet, sour, bitter and salty, a condition called hypogeusia. Some people cannot detect any tastes, which is called ageusia. True taste loss, however, is rare. Most often, people are experiencing a loss of smell instead of a loss of taste.In other disorders of the chemical senses, an odour, a taste, or a flavour may be distorted. Dysgeusia is a condition in which a foul, salty, rancid, or metallic taste sensation will persist in the mouth. Dysgeusia is sometimes accompanied by burning mouth syndrome, a condition in which a person experiences a painful burning sensation in the mouth. Although it can affect anyone, burning mouth syndrome is most common in middle-aged and older women. Sjögren's Syndrome (pronounced “show grins”) …is a chronic, inflammatory, multi-system, auto-immune disorder that is progressive. This means those who have Sjögren's have it for the rest of their lives and it may affect many parts of their bodies. Auto-immune refers to a process whereby the cells that are usually directed to fighting infections are actually attacking our own cells, creating inflammation and damage to tissues, in particular the mucous membranes (moisture-producing tissues/glands). This damage is slowly progressive (gets worse with time). Sjögren’s predominately affects woman (90% of people with Sjögrens are women: 10% men). SYMPTOMS OF SJÖGRENS SYNDROME The two main symptoms of Sjögrens syndrome are: Dry eye (keratoconjuctivitis sicca) and Dry mouth (xerostomia). Oral ulcerations appear as necrotic or eroded areas on the oral mucosa, including the tongue. Most such lesions are idiopathic (aphthous) or of viral etiology (eg, herpes simplex virus [HSV]; rarely herpes zoster [VZV]). Oral ulcerations also may be caused by fungal, parasitic, or bacteriologic pathogens; by malignancy; or by other systemic processes. Von Willebrands is a blood clotting condition, which is usually inherited. It is sometimes known as von Willebrands disease or disorder (vWD). One of the factors in our blood that helps form blood clots, which in turn stems bleeding, is von Willebrand factor. It acts as a glue, sticking platelets to the wall of a broken blood vessel. vWD is the most common bleeding disorder, and is thought to affect approximately 1 in every 100 people. The first indications of vWD may be noticed after a minor surgical procedure (such as a tooth extraction), where prolonged bleeding might be observed. An apicectomy is an operation where the very end of the root tip is removed. It is usually undertaken when a root filling has failed to satisfactorily seal the root canal. When this occurs, an abscess can form. This may lie dormant for many years and then suddenly flare up resulting in an acute abscess. When teeth are twisted and then undergo orthodontic rotation with braces to correctly straighten them, there are small fibres of the tooth ligament that are stretched like “rubber bands”. When the orthodontic rotation is completed these fibres need to be severed to release the forces, otherwise the tooth will move back to its poor alignment. When young people have spaces between their teeth where a frenum is attached, closing this space by orthodontic braces can squeeze the tissues. This may mean that once the bands are taken off the “pent up” forces may force the teeth apart. By careful removal of the frenum and reducing the squeezed tissue this movement does not occur. This procedure is called frenectomy. A dental implant is an artificial root (aka fixture or screw) that serves as a replacement for a missing tooth. Implant surgery can take up to 3 or 4 stages. This will depend on whether you are missing one or several teeth and whether the bone is sufficient to sustain an implant. Sometimes bone grafting may be required. Once you decided to proceed with implant surgery, appointments would be scheduled in conjunction with your dentist who will then place the tooth on top of the implant fixture. Orthognathic (ortho = straight, gnathic = jaw) surgery involves correction of the position of the bones of the face and jaws to a more ideal relationship. This includes operations on the upper or lower jaw or a combination of both and occasionally operations on the chin and cheek bones. TMJ is short for "temporomandibular joint". It attaches your lower jaw (mandible) to the base of your skull on each side of your head. The TMJ acts as a hinge. It allows your mouth to open and close, and moves from side to side when chewing. Muscles surrounding and attached to the TMJ control its position and also control jaw movements during talking, chewing and yawning. Some people suffer from disorders affecting one or both TMJs, muscles and surrounding tissues. These disorders can often cause pain and restricted jaw function. For most people, symptoms are temporary and usually go away without treatment. Discomfort in the TMJ and chewing muscles is common and usually not a cause for major concern. About seven people out of every ten have had signs of a TMJ disorder at some point in their lives. About one person in four is aware of symptoms or reports them. Of the 50 people in every 1,000 who seek treatment, only two may require surgery.